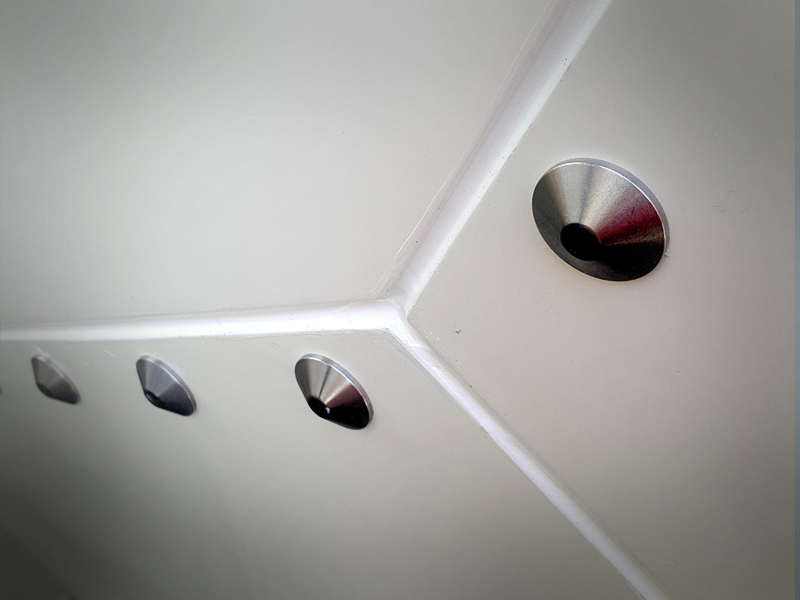 RADOME PANEL GEOMETERY | Infinite Technologies, Inc.
Radome Panel Geometry Matters. Pseudo-randomized panel configuration are utilized in ITI sandwich radome designs. Panels are fastened together through impedance matched bolted lap joints. This helps with phase differential and ensures lower induced field ratio. The goal is to improve overall radome performance by minimizing phase delay between the radome panels and the bolted joints which decreases the joints effects on sidelobe degradation and coherent scattering. ITI radomes panels are designed to be easily transported and handled by two people which is beneficial for the end user in terms of cost and complexity in completing the project.